Seeing Mother Earth from this perspective is surreal, isn’t it? 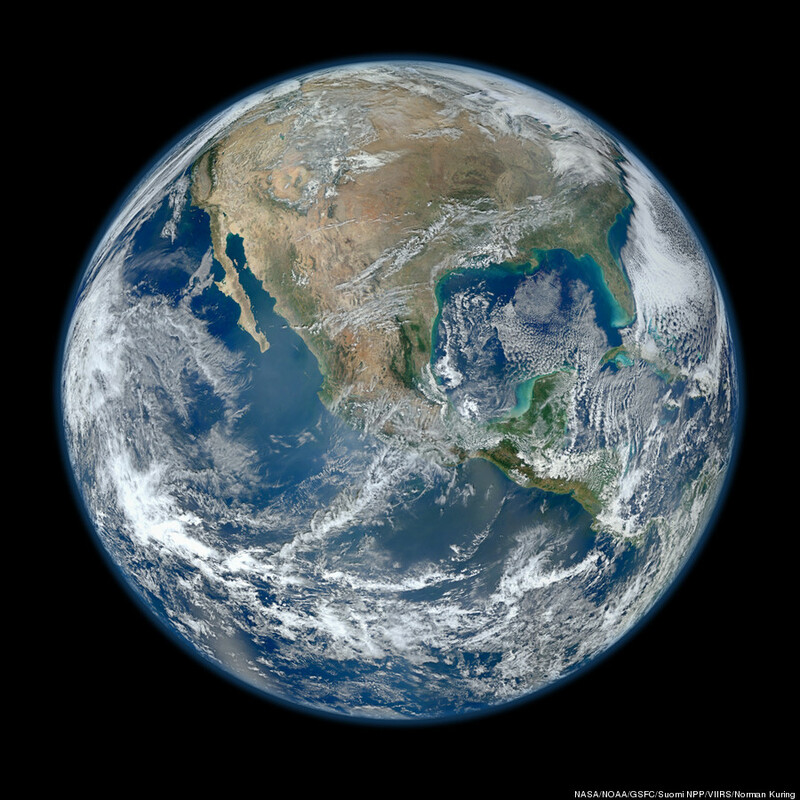 Over the years satellite images have been taken of our beautiful planet from space and when we celebrate Earth Day, I like to stare at this photo credited to NASA and NOAA. It’s more commonly known as The Blue Marble. Thoughts race through my head about how beautiful she is, and yet fragile, as she gracefully traverses through space staying within her orbit of the Sun and other planets in our Milky Way galaxy. She tilts slightly on her axes and some years more than others, as her poles shift slightly like in very recent years. Staring at The Blue Marble makes me think of evolution—not so much the evolution of man, for that continues to be a question in the minds of many—but the evolution of consciousness leading up to how man’s thinking has evolved through the years. Our thoughts are limited in nature by what we can see with our physical eyes even though most of us believe there is so much more. This is historically a result of our religious thinking, but possibly someday also due to scientific discoveries. As an example, science is discovering more every day about this subatomic world and even parallel universes that might be right in front of our faces but we don’t know it, because we can’t see beyond three dimensions. We giggle now to think so long ago, how we once thought the world was flat. Then we surprised ourselves with the advent of telescopes during the middle of the last millennium and found that we were not in the center of everything, yet revolving along with other planets around the sun that perpetuates physical life. And it was Isaac Newton who was considered crazy and deemed an occultist as he tried to explain this “invisible” force of gravity to his fellowmen…now considered sound science. Noting that the rules governing the behavior of subatomic particles contravene common-sense notions of reality, Dr. d’Espagnat, a professor emeritus at the University of Paris-Sud, coined the term “veiled reality” to describe a world beyond appearances, which science can only glimpse and which could be compatible with higher forms of spirituality. As we salute our beautiful planet today, it’s exciting to contemplate the future and how life can be better understood when viewing it from both perspectives, science and theology. The implications to humankind surrounding the new discoveries may be far reaching. As we continue to search both our inner space, and also outer space, let’s be sure to take care of our home, spaceship Earth, and then look upon each new discovery as if we were a little child again…with awe, wonder and, above all, an open mind. This entry was posted in Author Reflections and tagged Earth Day, human beings, Mother Earth, parallel universes, religion, science. Bookmark the permalink.